This interview was originally shared on the EVE Podcast. It has been slightly edited for conciseness. Valérie Hernandez Amalou (V): Tal, thank you for joining us! You’ve said your purpose in life is to bring happiness in life. What does this mean for you? Tal Ben-Shahar (T): Over the last 20 or 25 years there has been a lot of research in the science of happiness, and the problem is that this research, this science, is not known to most people. My objective is to take the scientific papers, the rigorous research, and make them accessible to people, so that they can apply it: in their personal lives, at the workplace, with their children, with partners, as well as with friends and colleagues. Valerie: Tal, at times it can seem that the demands of work are contradictory to the demands of a fulfilling personal life. Being a good leader and finding the time to be a committed parent. Working a high-pressure job and taking enough moments for relaxation and well-being. How can those personal and professional demands be reconciled? What are the tools that can help? T: That’s a very good question. One of the things that people do not understand, and one of the things we have a lot of research to back up, is the relationship between success and happiness. Most people think the more successful we become, the happier we will be. In other words: if I get a raise or a promotion, or I do better at work, that means I will be happier. And actually, that is not the case. What is the case? The case is that it is rather happiness that leads to more success. In other words, if I increase my levels of well-being, of happiness, even by a little bit, I will actually become more productive and creative—I will be a better team player, it will also contribute to my work. In other words: We can look at happiness as an important contributor to our success at work. Now, what do we need to do in order to become happier? One of the things that we need to do, is to find a way of integrating the different parts of our lives; to invest in our friends, in our relationships, just as we invest in our colleagues and our work. One of the things that can help to do that is to get away from the notion that we can have it all—that we can do everything and we can do everything perfectly. Instead, it is about settling for good enough. Not easy. Because especially if we’re a type A, and very ambitious and committed, we want it all and “good enough” sounds like a compromise. However, if we learn to accept good enough as good enough, we end up doing better at work, at home, becoming happier, as well as in the long term—maybe not the short term, but in the long term—more successful. V: In your latest book, The Joy of Leadership, you also explain how the need for a new, more relevant model of leadership. The model you propose is based on the conviction that effective leadership is personal flourishing. Why is personal flourishing important to leaders? T: You know, there is a quote by Confucius, considered the father of Asian philosophy, which goes something like this: “If you want to bring order to your State, you must first bring order to your neighborhood; if you want to bring order to your neighborhood, you must first bring order to your family; if you want to bring order to your family, you must first cultivate the self.” In other words, what Confucius is doing is creating a series of concentric circles, beginning with the self and expanding—like ripples in a pool—outwards. The wisdom on Confucius, which today is backed by a lot of data in organizations, is that the most effective and successful leaders, first and foremost, focus on themselves. If we want our organization to flourish, to succeed, to thrive, we first need to look at ourselves; we first need to be concerned with self-growth and personal cultivation. After we do that, after we learn how to become more effective, more creative, happier in our own lives, that is when, by example, we can lead others and affect the teams we are a part of, the organization we are a part of, the community we belong to. V: Tal, before we let our audience dive into reading your book, what is one thing leaders can start doing today to get closer to personal flourishing? T: The first thing that I would do as a leader, is to sit down and reflect on my role models: who were the leaders in my life who made a difference? And when I talk about leaders, I’m not just talking about those leaders at work, the great CEO that I had, or the great political leaders. Yes, I am talking about them as well, but I am talking about your mom or your dad, or a schoolteacher whom you had in third grade. So sit down and reflect on why you admire them as leaders: what do you look up to in them?, what characteristics were worthy of imitation? Make a list, write them down, and then the next question would be: How can I implement those things that I admire in other people in my life? Because you see, a lot of the wisdom about leadership, we already have. It is in us, we’ve experienced it. The thing, though, is to become more aware of it, more conscious of it, and then—more importantly—applying it in our lives. 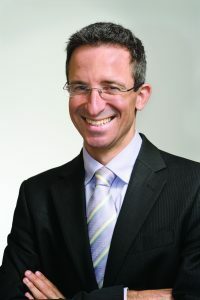 Tal Ben-Shahar is an author and lecturer who taught the most popular course at Harvard University on Positive Psychology, and the university’s third most popular course on The Psychology of Leadership —with a total of more than 1,400 students. Tal consults and lectures around the world to executives in multi-national corporations, the general public, and at-risk populations. Topics include leadership, ethics, happiness, self-esteem, resilience, goal setting, and mindfulness. He is the author of the new book “The Joy of Leadership.” He is also the author of “Choose the Life You Want” and The New York Times bestseller “Happier: Learn the Secrets to Daily Joy and Lasting Fulfillment”. Tal is the Chief Knowledge Officer of Potentialife and Chief Content Officer of Happier.TV. An avid sportsman, Tal won the U.S. Intercollegiate and Israeli National squash championships. He earned his Ph.D. in Organizational Behavior and B.A. in Philosophy and Psychology from Harvard. You can find Tal’s podcast episode here.